The Presidential "E" Award program was established by executive order by JFK on December 5th, 1961. 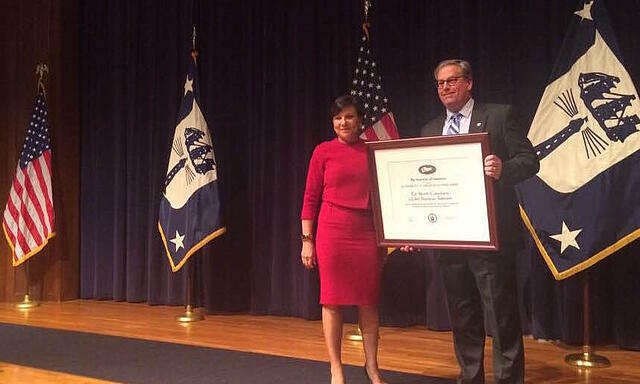 The Presidential "E" Award is "the highest recognition any U.S. entity may receive for supporting export activity. Winners are authorized to fly the blue and white banner, to display the award certificate, to wear the "E" lapel pin, and to refer to the award in their advertising." The ceremony which was held in Washington, DC on Monday this week coincided with World Trade Week and represented the 54th instance of these awards. 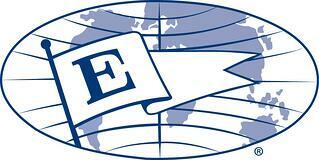 Selfishly, though, as a recipient of an "E" Award for Export Service this year, this topped the previous 53!. The US Commercial Service (Division of the U.S. Department of Commerce's International Trade Administration) and it's Foreign Commercial Service sibling do great work supporting US companies working to grow their global sales. Through a number of offices across the US and the globe they help US companies meet verified buyers. Programs like GoldKey and Single Company Promotion are powerful and inexpensive tools that support the efforts of US SMBs. Numerous other federal, state, local & private groups supplement the efforts of the U.S. Commercial Service to help American firms become more competitive. Ex-Im Bank, SBA, state export promotion agencies, chambers of commerce and others offer various overlapping and complimentary services and products. Admittedly biased, I see an important role for an export consultant to assist many companies as well. Diverse experience, strategic perspective and technical expertise are important ingredients to help manage goals and balance resources. And the statistics are pretty impressive - from jobs created and communities strengthened through each increment of growth in export sales; to enormous tax savings for exporters that avail themselves of IC-DISC; to greater resilience and higher wages on average for workers at companies that export. May isn't only designated as World Trade Month. It's also the congressionally designated National Military Appreciation Month. In keeping with that theme, one of the highlights of the event for me was engagement with the VetsGoGlobal team (@VetsGoGlobal) from the ITA (@Tradegov). I'm active in both veterans' organizations (Commander of VFW Post 1093, member of Amvets, American Legion, DAV and others, and active supporter of some non-profits like the Fallen Heroes Project) and the exporting space. And I see huge export potential at this intersection - a subject I've discussed frequently with Jim Wilfong - my friend, fellow vet and former Assistant Administrator at the SBA's Office of International Trade. Of course international business success requires more than these, and many business people who are not veterans are quite successful globally. As a management consultant I work with B2B companies - mostly in the industrial manufacturing space. They want to grow profitably - but more importantly they want to grow in a predictable, manageable, scalable way. Sometimes I start wearing my export consultant hat. Other times it's my digital marketing hat. But the journey always ends up moving toward the same destination. Companies that use digital marketing effectively not only create and nurture leads in a way that matches buyer behaviors, but they inherently target and qualify the right prospects through the nuance in their marketing. And they accumulate incredible data to support data driven decisions. A great example of this is the collection of global market opportunity insights which companies collect. In days of yore, companies would commission "research" - by an intern, sales administrator, consultant, state agency or other group. The outcome of the research would be a hypothesis on market opportunity. The quality of the hypothesis, of course, depended on the rigor of the research and the professional insights the researcher brought to the task. Often (read almost always) there were market factors which couldn't be known and which would only surface after a substantial, speculative investment had been made in market exploration and entry. Using data from digital marketing, however, it's possible to identify markets with actual demand and to incrementally localize there long before committing substantial resources beyond a trip or two. That's the approach I outline in this free guide. It's substantially different from the traditional, and rather tired, method you'll typically find an export consultant eager to implement. Get your free copy today.